Log into your Streaming Video Provider account and navigate to the “My Panel” area. Under the “Single Videos” tab, click the “New Live Broadcast” button. After entering your video information, click “Broadcast Now”. This will open your Broadcast panel. Click “Select Source” and select “Adobe Flash Media Live Encoder”. 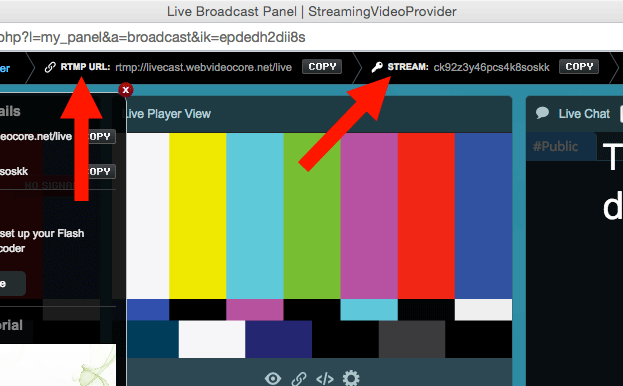 Now, your RTMP URL and Stream Key will be displayed at the top of the Broadcast Panel.